Papermate has been making pencils for a long time, and one of the simplest and least expensive mechanical pencils available is one that they make. These pencils are some of the cheapest on the market from a name brand, and always come in packages containing a large number. They are almost universally recognized as one of the lousiest pencils to use, but is that reputation deserved? Starting at the back, it’s got a small, pink eraser that does indeed erase (quite well, actually,) but, like most erasers at the back of pencils, it won’t last very long. Moving down from that, we have a basically straight and plain body, with a terrible “clip” near the eraser (it doesn’t actually clip on most things the thickness of shirt pockets). The basic information about the pencil is physically molded in the side, with no other features on the barrel. It looks slightly slippery but does grip with no problems. At the front of the pencil is the lead-advancing mechanism, which one must twist both to extend and retract the lead. This is inconvenient, but not more so than a top click. This twist mechanism is flimsy and easy to break if one goes too far, but not too noticeable when writing. 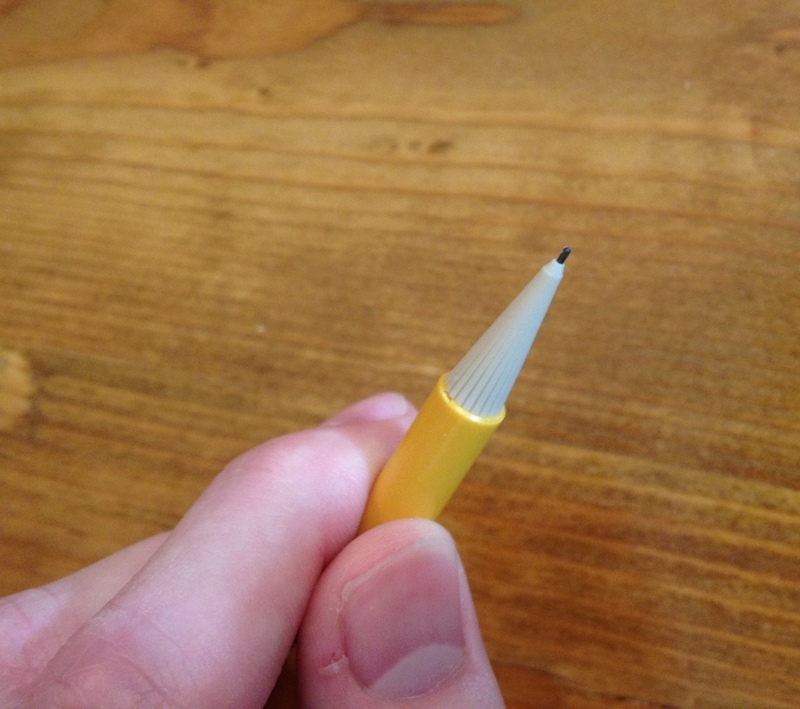 The lead is technically refillable, but the pencil is almost treated as disposable, so it isn’t worth it. The lead that comes with the pencil is fine: it’s a #2 and it works fine for most purposes, even erasing well with the eraser. There is also a “shock absorber” in the pencil (I believe it isn’t a special thing but inherent in the design) and it works! You can press down quite hard and the lead will simply retract a few mm instead of breaking, but writing like this would be fatiguing and still cause the lead to break, since the spring is only absorbing force in one direction. Is it a great pencil? No. Is it a bad pencil that will explode when you take it out? No. It works. It’s a bit finicky at times, and I feel like I could break it with my bare hands and minimal effort, but under normal use conditions this isn’t a problem. 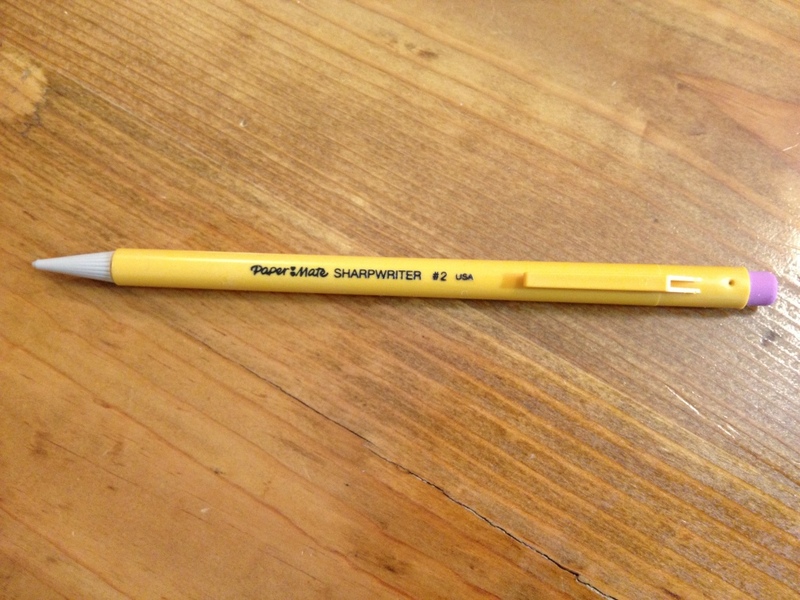 The clip is the worst part, and if you need a good one I’d steer clear of the Sharpwriter. If you’re looking for the one pencil to have forever this is also far removed. But it is quite versatile and quite inexpensive. (Adam Savage of Mythbusters likes them: https://youtu.be/uN6vptYpo5I?t=2m15s) And if you lose pencils often, or are getting them for an office, I’d at least consider it. This entry was posted in Beginner Supplies, Utensils and tagged art supply, art supply review, eraser, inexpensive, mechanical pencil, mechanical pencils, papermate, papermate sharpwriter, papermate sharpwriter mechanical pencil, pencil, review by Dragon Co (Austin Smith). Bookmark the permalink. I use these pencils exclusively at my full time job, and I really like them. They are quick and easy to use, and they are cheap and replaceable. I am a fan of the mechanical pencil. You should check out The Artist’s Helper over at my blog, it makes painting multiple canvases possible. Have a wonderful day. Hi! I love reading up on your reviews, very informative. Would you please give your opinion on a “better than average” mechanical pencil brand you’ve reviewed or use personally? My teenage son loves mechanical pencils and prefers using them over regular pencils but it’s hard finding decent ones. Thank you! I’m glad to hear you enjoy. My personal favorite mechanical pencil is the Pentel Graphgear 500 (https://artsupplycritic.com/2014/08/29/review-pentel-graphgear-500-mechanical-pencil/) and I like Pentel in general, but that is geared very much for drawing. One that most people like is the Uni Kuru Toga (http://thewirecutter.com/reviews/best-mechanical-pencils/) which comes either in a plastic version that can be found at most department stores or a nice “roulette” metal version (https://artsupplycritic.com/?s=kuru+toga&submit=Search) and it seems to be one of the best choices for getting above the average.